Last week Aliph announced a new version of the noise eliminating Jawbone bluetooth headset. The new model is 50% smaller than the original and supposedly produces better results. The headset uses military-grade NoiseAssassin technology which will virtually all outside noise may it be from a car passing by or a plane flying overhead. The Jawbone’s “Voice Activity Sensor” detects the user’s speech and separates it from external sounds. This technology allows the eliminating over 10 times more unnecessary noise than other headsets on the market. This is a must have device for those who constantly make important calls while commuting. The person on the other end of the phone probably won’t even have the slightest idea that you aren’t in sitting at your office desk. In numbers, the new Jawbone weighs just 10 grams, offers 4 hours of talk time, can last on standby for 8 days, retain a connection up to 10 meters from a bluetooth device, takes 1 hour for a full charge, and runs on the Bluetooth 2.0 protocol. The headset comes with different sized ear buds and ear loops to ensure a sung fit for your ear. From personal experience I can testify that the original Jawbone was quite impressive and if what Aliph claims is true regarding the new model, this might just be one of the best headsets on the market. 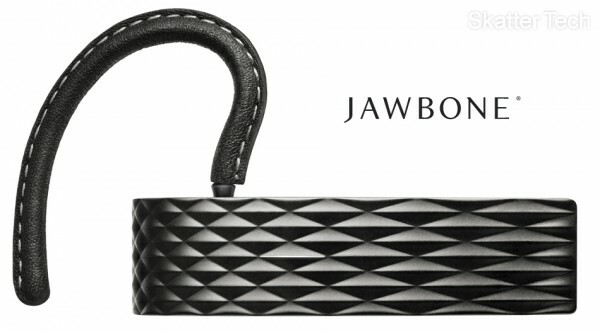 If you are interested in purchasing the new Jawbone, it is available in AT&T retail stores and online at Jawbone.com for a price of $129.99. P.S. I’ll try to get a hold of a unit soon, so check back soon for an in-depth review.